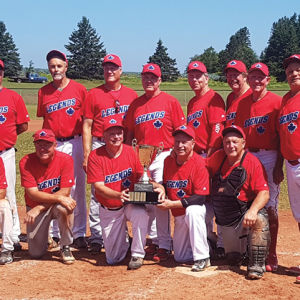 Former Three Hills 49ers Baseball teammates Norm Campion and Blair Hanna brought home the Canadian National Oldtimer’s Baseball Championship played in Charlottetown, Prince Edward Island, August 3-6, 2018. Norm and Blair were members of the Three Hills 49ers Baseball Team when they won the Rockyview Baseball League Championships in 1985 and 1986 and they’re still going strong. 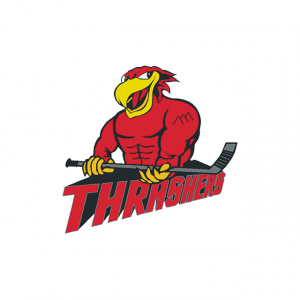 Two local thirteen year olds, Jordan Bauer, of Torrington, and Nash Dettmer, of Trochu, have just wrapped up a very successful season with the Olds Spitfires Peewee AA baseball team. 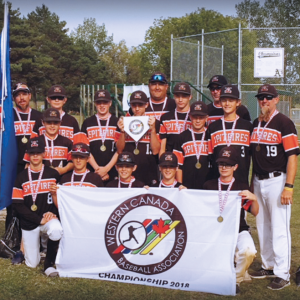 The boys were selected to the team following evaluations in the spring, and competed in the Baseball Alberta league for the entire season. 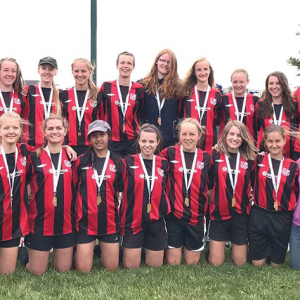 The first weekend of July saw two of our teams attending Provincial championships in different parts of the Province. Our U13 boys were in Carstairs and our U19 girls were in St. Paul. Both team did extremely well and played their best.